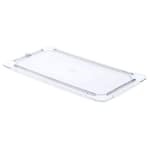 The Carlisle 10276U07 StorPlus™ food pan lid goes on a third-size food pan and protects product from contaminants. 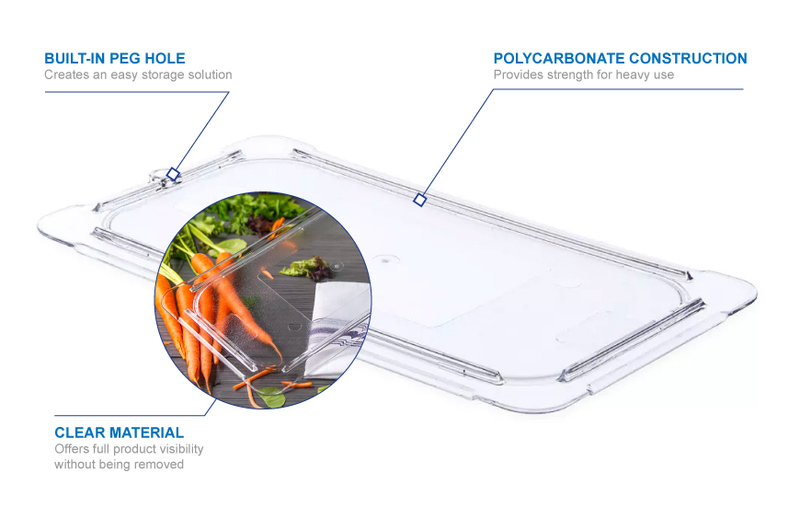 Constructed of durable polycarbonate, the lid is resistant to breaking, staining, and scratching and is not affected by food acid or oil. With a temperature range of -40 to 212 degrees Fahrenheit, it is ideal for chilled and non-high temperature holding. 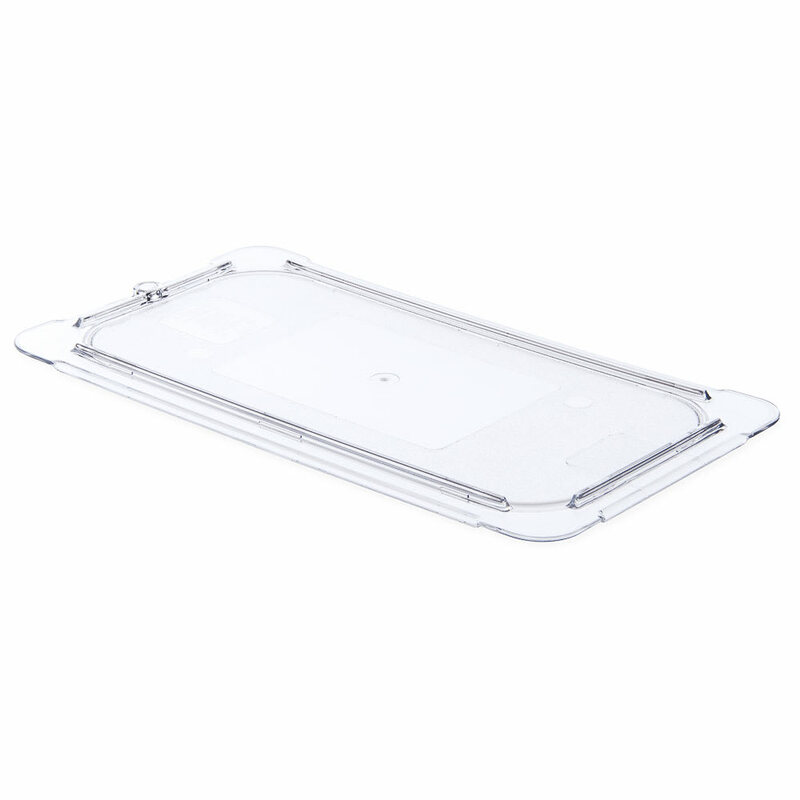 The Carlisle 10276U07 StorPlus food pan lid can be stored with its built-in peg hole.